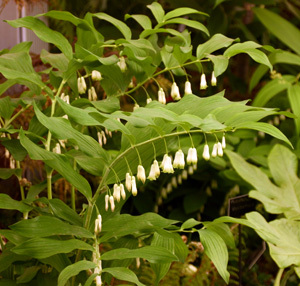 Solomon’s seal plants grow in partial shade. 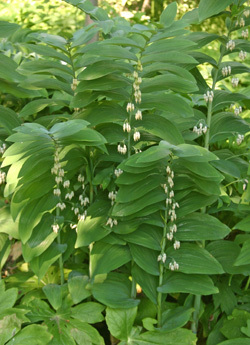 Solomon’s seal is the common name for a number of species in the genus Polygonatum with an attractive architectural form. The rhizomes of various species have been used medicinally to treat various ailments or ground and baked into a type of bread, and the young shoots were eaten like asparagus. There are about 60 species in this group of herbaceous perennials in the lily family (Liliaceae), but only a few are commonly grown as ornamentals in the US, including both native and exotic species. 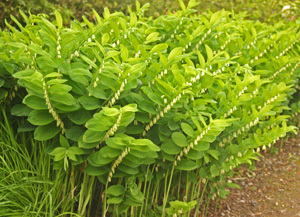 The alternate leaves of Solomon’s-seal are carried on long, upright to arching stems. The linear to broad, egg-shaped leaves zigzag their way up the unbranched stalks, each pair offset slightly along the stem. Most species have solid green leaves, but some have variegated leaves. The leaves turn lemon yellow to brown in autumn, and the stems wither away for the winter. turns yellow or brown in autumn. The following spring a larger stem is produced from the rhizome. Only a single stem is produced annually from each rhizome section, but the rhizomes branch freely, so each plant will have multiple stems. The plants spread at a modest pace to form colonies of plants. The thick, fleshy, white, irregularly-shaped rhizomes bear rounded scars where previous year’s stems arose – and supposedly it is the resemblance of these scars to the 2 inverted triangles that were the symbol or seal of King Solomon that gave rise to the common name. These rhizomes can grow quite large and become woody. Polygonatums bloom with clusters of two or more small, bell-shaped flowers that dangle beneath the stems. The greenish-cream to white flowers arise at each node where the stems arch over and are therefore often hidden by the foliage. The flowers last for several weeks in the spring, then are followed by spherical, blue-black fruits resembling small grapes that are often eaten by birds. Polygonatum species have hanging, bell-shaped flowers like these of P. biflorum (L) that eventually form fruits later in the season (R). Solomon’s seal plants have arching stems. Solomon’s-seals prefer rich, moist, well-drained soils in partial to full shade (where they will receive morning or dappled sunlight rather than afternoon sun), but they are quite adaptable to many situations including those difficult dry shade spots near tree roots. 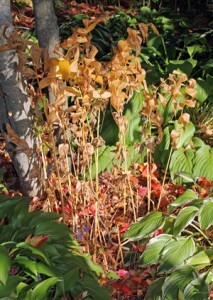 It is best to allow fallen leaves from trees to remain where Solomon’s-seal grows as a natural mulch and to form humus. They are very drought tolerant once established, have few insect or disease problems, and are not favored by deer. These plants can be grown from seed, but they are easiest to propagate by division. 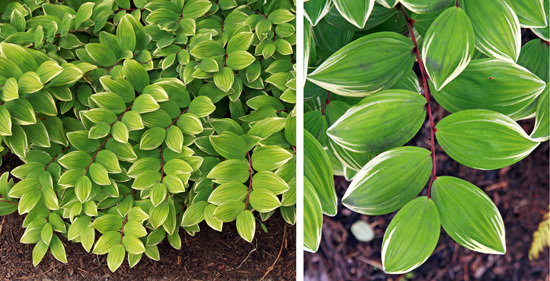 Solomon’s seals combine well with other shade-loving plants such as hostas. Rhizomes can be dug in the spring, just as the new growth emerges from the ground, or in fall, but plants typically don’t require division to remain vigorous. Entire clumps can be transplanted or larger rhizomes can be broken or cut into pieces to create multiple plants. Place the rhizomes horizontally a few inches deep and keep evenly moist until established. A clump of Solomon’s seal at RHS Garden Wisley. 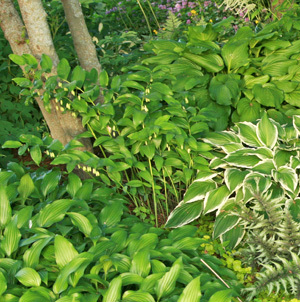 lungworts (Pulmonaria), pigsqueak (Bergenia), wild ginger (Asarum canadensis and A. europaeum), astilbes and other shade-loving plants in shady borders or for naturalizing in a woodland garden where they provide contrast in texture and height with lower, mounding plants. They can be paired with daffodils and tulips, which will bloom before the Solomon’s-seals are fully grown and later the plants will help hide the fading bulb foliage. The variegated types are great for brightening up dark areas. The native species may just show up in shady sites, the seeds deposited by birds. P. biflorum, Small or Smooth Solomon’s-seal, is native to eastern North America, from New England to Florida and west to Nebraska and Texas. As the common name suggests, the light green 4 inch long leaves are completely hairless. 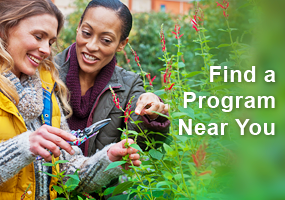 The plant grows 1-6 feet tall, with ½ – ¾ inch long white- or yellow-green flowers in late spring. It is hardy in zones 3-9. P. communatum, Great Solomon’s-seal, is now often considered just a larger form of P. biflorum, growing 5-6’ tall. P. cryptanthum, a Japanese species, grows about a foot tall and has a pair of green bracts that hide the green-tinted white flowers. It is hardy in zones 4-8. P. falcatum is an East Asian species hardy in zones 4-9, seldom seen in cultivation in the West, and plants offered under this name are often actually another species. It grows 2½ -3 feet tall, with cream flowers tipped in green. The variegated cultivar ‘Nippon Sunbeam’ has green leaves striped with yellow. ‘Silver Lining’ has silver stripes on the leaves. P. humile, Dwarf Solomon’s-seal, is native to Japan. As its common name suggests, this is a smaller-statured species that is more delicate in appearance, but its flowers are relatively large for such a small plant and are therefore more showy than other Polygonatum species. 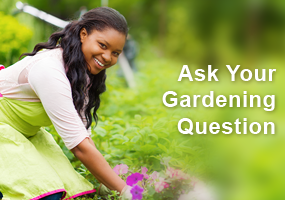 It rarely grows more than 8-12″ tall and is less hardy (zones 6-9). P. latifolium, native to the Caucasus region and hardy in zones 5-8, has leaves that are pubescent on the undersides. The flowers are white with a reflexed frilled green edge. 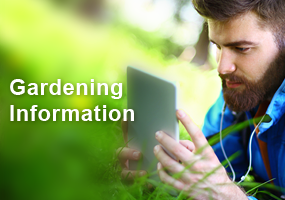 The plant grows 8-12″ tall. P. multiflorum is another European species. ‘Variegatum’ is a short selection (under 2 feet) with cream and green leaves on reddish stalks. ‘Fireworks’ – has leaves with white margins and cream to yellow stripes, along with red stems. ‘Flora Plenum’ – has double flowers with multiple tepals. ‘Lemon Seoul’ – with light green leaves with a silver underside. ‘Variegatum’ (Variegated Solomon’s-seal) – with variable creamy white “brushstrokes” on the leaves. In spring there may be a blush of pink to the leaves. P. pubescens, Hairy Solomon’s-seal. Is native to eastern North America, from Nova Scotia south to Georgia, and west to Manitoba and Indiana. It is very similar in appearance to P. biflorum, but tends to be shorter (1-3 feet tall) and its leaves are slightly hairy on the undersides, primarily along the veins. 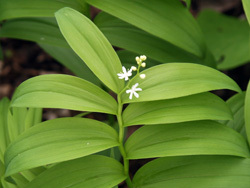 False Solomon’s seal (Maianthemum racemosum) has terminal flowers. Evergreen Solomon’s Seal (Disporopsis pernyi), native to high altitude forests in China, has glossy, dark green foliage and lemon scented flowers. Like Polygonatum it has hanging flowers followed by purple berries. False Solomon’s-seal (Maiathemum racemosum) has similar foliage, but bears terminal flowers and fruit. Have grown and transplanted many pots of Solomons Seal in a small wooded area. Glad that I have them in the right conditions for thriving. They seem to be doing well. I would like to add some of the more “showy” varieties to the bunch.